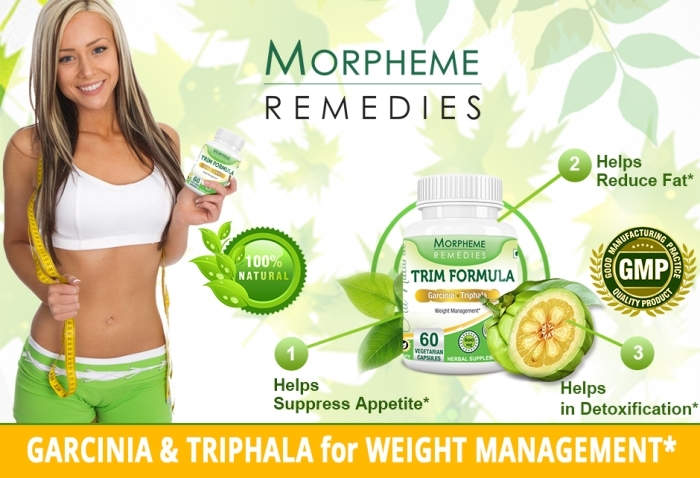 Morpheme Remedies Trim Formula is a unique Ayurvedic product that helps in stimulating metabolism and reducing unwanted fat without causing any harmful side effect. It combines Garcinia cambogia with Triphala or the mix of three dried fruits, a time-honored Ayurvedic product for promoting detoxification. When combined with balanced diet and regular exercises, Trim Formula helps in accelerating weight loss and managing healthy weight. This product helped in reducing my cravings and improved digestion. I am feeling lighter and energetic after taking it. It has made dieting and exercising easier for me.